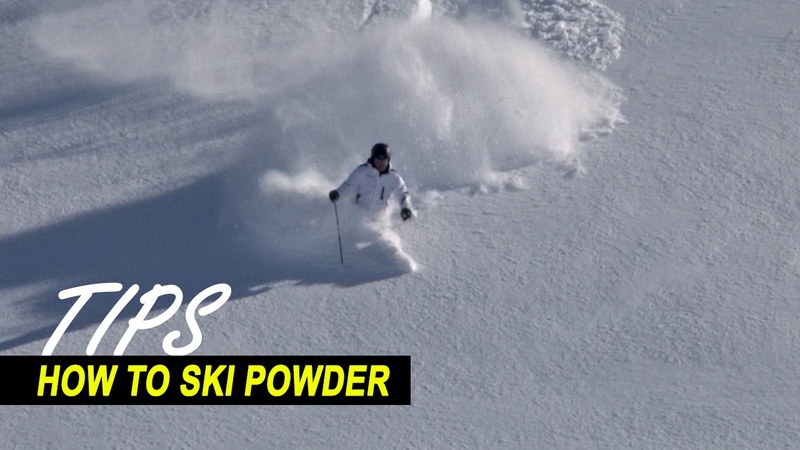 How to ski in powder snow – Tips for skiing powder… and leave uncertainty behind. Ever had a problem when your outside ski plunges into the snow and runs away – The solution is to ski with a little more even pressure on both skis which will help to create a larger platform to stand on. If you try to turn your skis too quickly across the fall line in deep powder… the result will be a face plant. Instead try to make your turn shape ski round like the letter “C” this means at the end of each turn, continue turning further around the arc. Rhythmical turns will help you take the energy from one turn into the next… you’ll be bouncing right out of the snow. Keeping a tight core will stabilize your upper body and minimize instability and loss of balance when you hit that unexpected bump. The difference is, you will need to extend your legs through the middle of the turn as you push your skis into the snow. This will compact the snow until the rebound – it pushes back on you. Then you flex your legs just like in the bumps. The trend amongst ski instructors these days is a bit wider stance. This may be more stable! As said before, powder will slow you down. So ignore your instincts! The steeper the terrain, the easier it will be to ski.